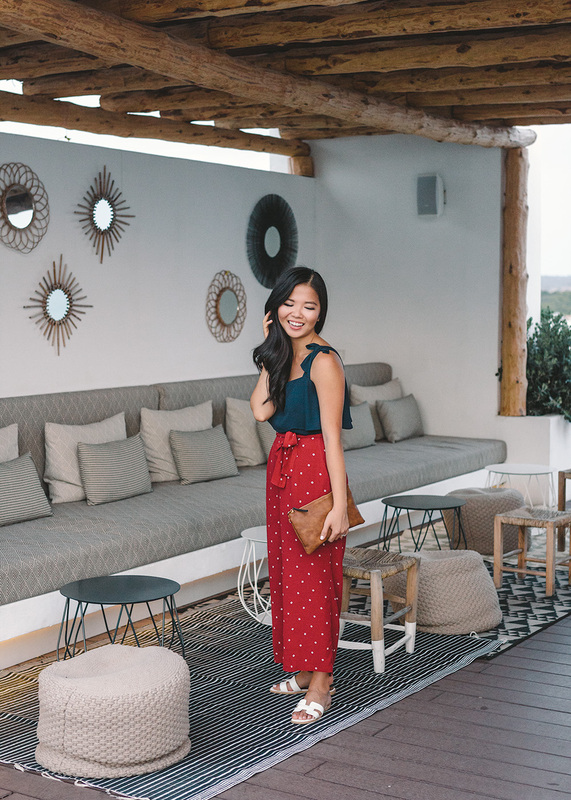 I’m slowly starting to transition my wardrobe to sweaters for fall, but I can’t help but look back at one my favorite outfits for our Spain trip. 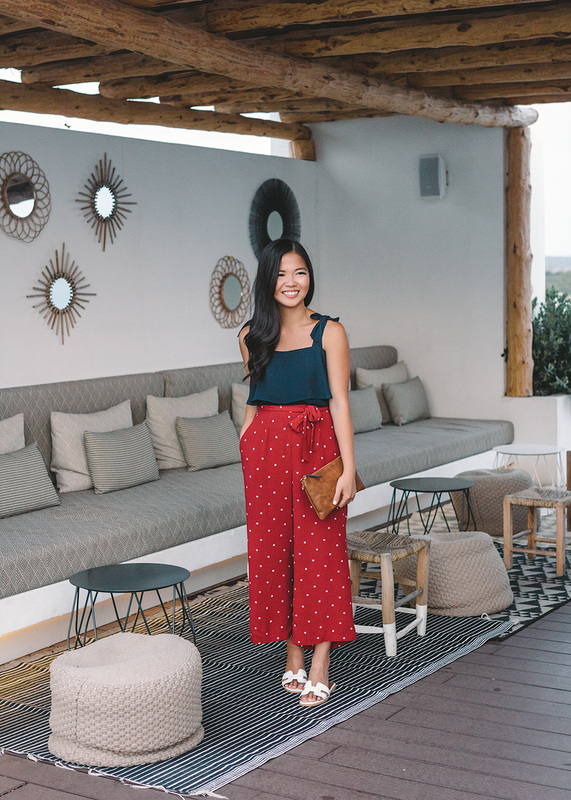 I wore these wide legged tie-waist pants (they also come in navy stripes) on our first evening in Mallorca. We wanted to spend a few days secluded on an island and ended up at an amazing all-inclusive resort called HM Gran Fiesta (it was another last minute booking, but this time with credit card points!). I think one of the most noticeable changes in my wardrobe (aside from a simpler color palette) is the fact that I’ve been gravitating more toward pants lately. If there’s a wide legged pant for sale, I’m getting it. It especially works out well when the pants are meant to be cropped, because those are the ones that tend to look full length on me (petite girl problems). I love them because they look effortless, but put together and they are usually always so so comfy. These pants were so good, I wore them in a different version once we got to Barcelona. Now I’m figuring out how I can adapt this easy, breezy vacation style into my every day wear for fall. 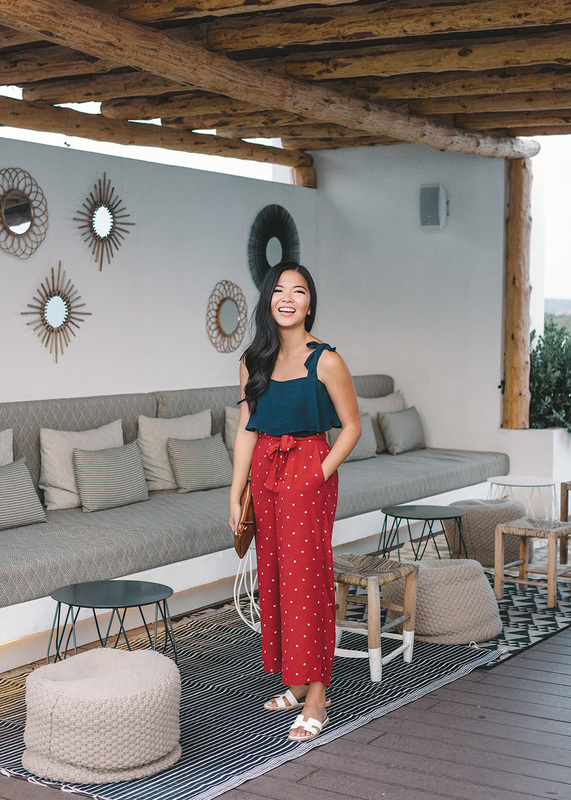 Wide legged pants are here to stay! 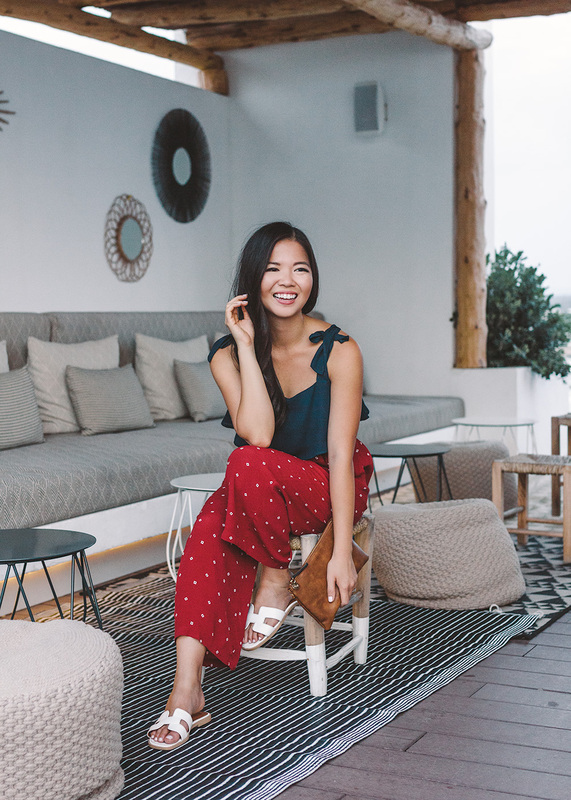 You are nailing your vacation style! Seriously love those pants! 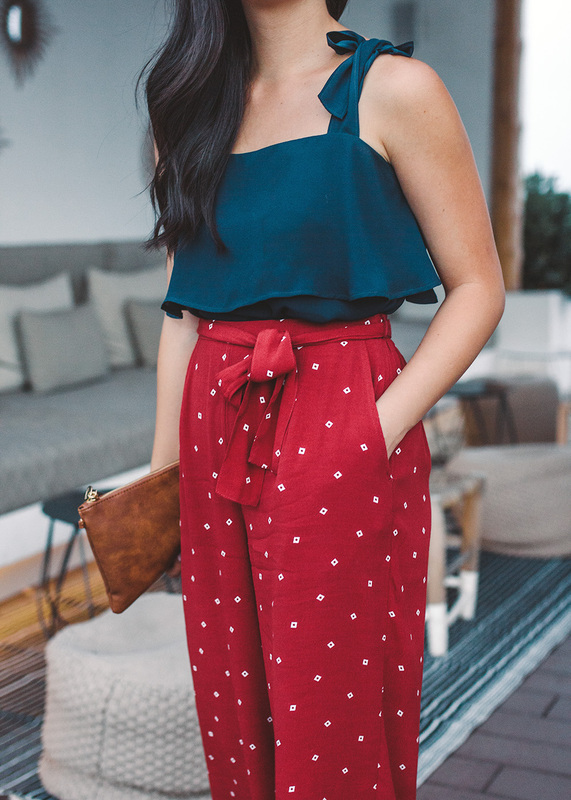 I have just been loving my wide leg pants this summer – so fun and so comfortable!